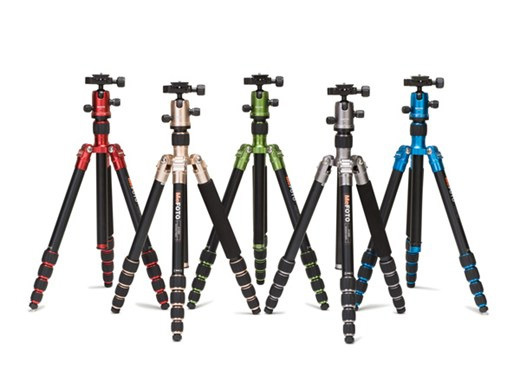 The best camera tripods come in a variety of styles and price ranges. Whether it's the best budget tripod, the best travel tripod, or the best full-sized tripod, you've come to the right place to get your answer. This is an extensive resource for learning everything you need to know about camera tripods. 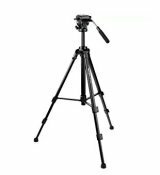 This camera tripod guide will help you find the best camera tripods, with just the right features you want, at the price level you can afford. You'll learn about all the best tripod features, their components, and all about specialty tripods. Use it as your camera tripod buying guide. I've tried to make this the definitive guide to camera tripods. Use one of these links to jump to the topic you're most interested in first. Please feel free to leave a comment or question below. 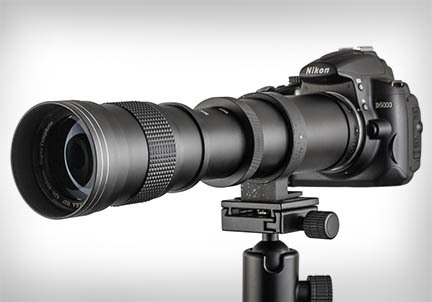 Your search for the best camera tripods can begin and end right here. While there are more choices than ever, these camera tripods are the best in terms of customer reviews. I've done the legwork for you to help you find the best. For the quick answers to the 3 best camera tripods within your budget you can jump straight to the results of the research I did: Tripod Prices. The quick answer is yes! Although it's true that you can take a lot of quality photographs without using a tripod, there's also no doubt you can take better photos and do more types of photography with a decent tripod. 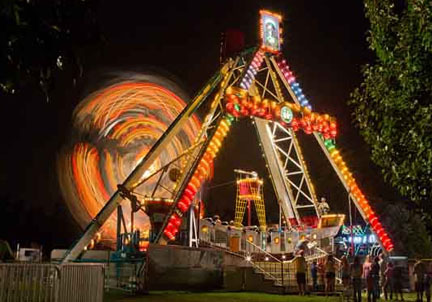 Digital cameras do have high ISO setting that will get you faster shutter speeds. 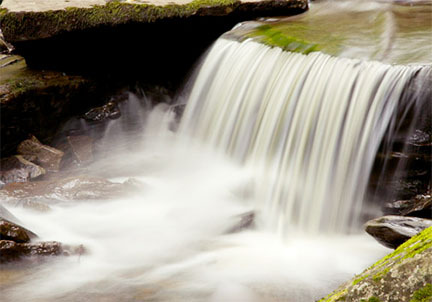 That helps reduce camera motion blur and gives you sharper photos, sometimes without using a tripod. There's also a hidden benefit to using a tripod that nobody thinks about too. 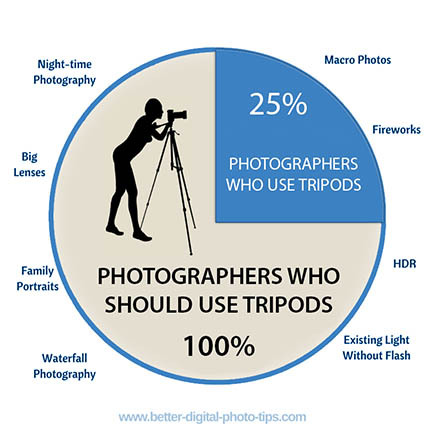 The number one reason you want to use a tripod is to get sharper photos, no doubt; but there are so many more good reasons. 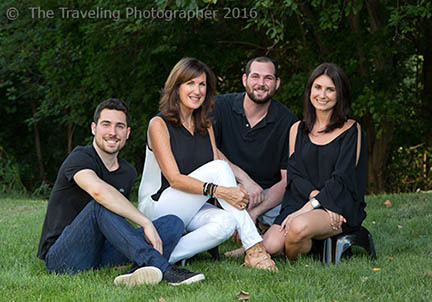 Here are just a few of the added benefits of using a camera tripod. Use your tripod for macro photography. Accurate focusing and a steady tripod are a must for controlling sharpness. Creative effects with combining blurred and sharp subjects within the same photo at night. Using a tripod for nighttime photography, including stars and star trails. Using a tripod with a fluid tripod head will give you professional looking videos. You can do a technique called focus stacking. That guarantees everything will be in focus. Tripods let you watch your subjects expressions as you shoot without having to view your composition through the camera viewer. THE HIDDEN BENEFIT: You slow down and take more time making a few quality photos, rather than a bunch of mediocre photos. The hidden benefit of using tripods that nobody talks about is that they slow you down and get you to take more time enjoying and seeing your subject better. You can narrow down your list of the best camera tripods if you have an interest specialized genre of photography or will use your tripod in a specific way. If you shoot a lot of architecture photography the best tripod for you is completely different than the one you'd want to get if you do a lot of macro photography. Here's the breakdown of what the best camera tripod should do in specific kinds of photography. Of course they all must hold your camera and lens steady. Bigger, heavier tripods are generally sturdier, but those characteristics don't fit the definition of a travel tripod. Tripod makers lately have emphasized small and light. 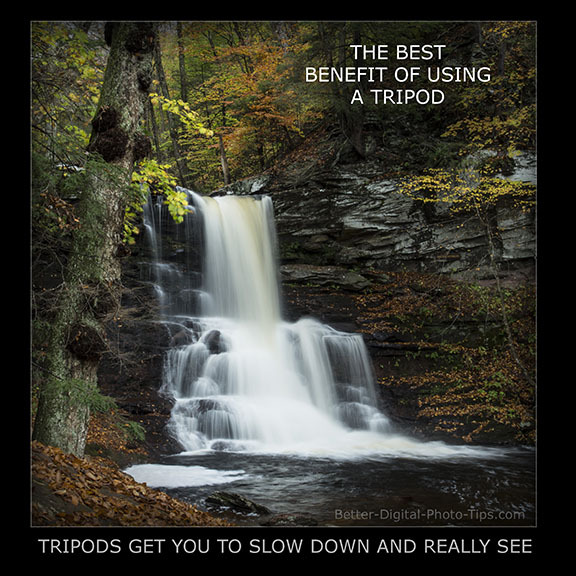 Travel tripods must fold compact down small enough size to fit into your suitcase or camera bag. The best tripod for travel still must be steady enough to support your camera rig. Of course, the tripod has to be sturdy enough to handle the video camera, but just as important is the tripod head. To get the smoothest videos the best video tripod should have a tripod head with a long handle, preferably with a fluid head. For shooting video, your video head should have 360 degrees of continuous pan, and at least 75 degrees of forward and backward tilt, along with some form of fluid-dampening. There's nothing worse than watching shaky video. 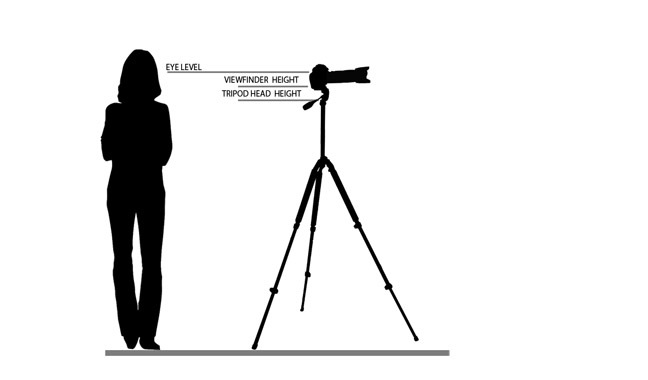 The best camera tripod for portraits should be tall enough to give you eye-level shooting. Constantly leaning over to look through your viewfinder or at your LCD screen will give you a neck ache. If you photography babies or toddlers a lot, your tripod should also be able to get down low. That means the center column should be short or removable, and your tripod legs should be able to be set at a wide angle. If you want to have the advantages of having a tripod AND a monopod with you at all times, you can. 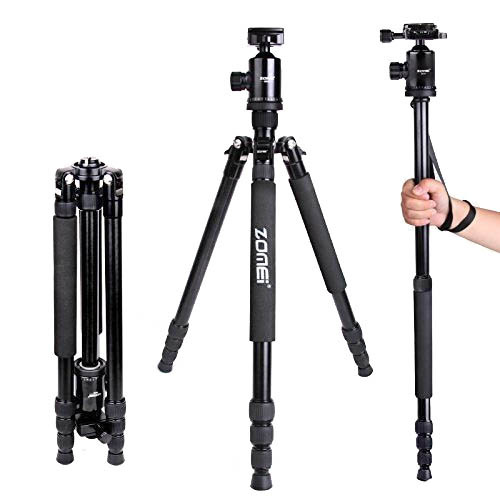 You have 3 different ways to get both a monopod and tripod combined. 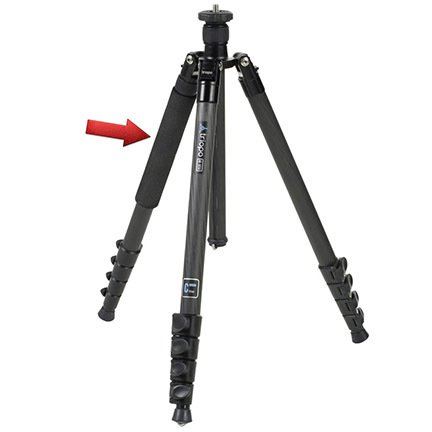 A tripod that's suitable for rugged outdoor use must be able to handle bad weather. Backpackers want the ultra lightest tripod possible because every ounce you carry does add up. All the pro landscape photographers I've talked to go big and heavy. They're seeking the rock solid stability that comes with only the finest components. Landscape shooters also usually like tripods that can go very high AND very low. That means long tripod legs and a removable or short center column. 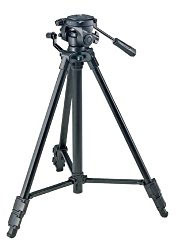 A tripod with a geared center column is easier to adjust in small amounts than traditional tripods. Photographers often have to make little adjustment to the camera height when shooting both interior and exterior photos of buildings. You gotta get down low with a lot of macro photography subjects. Your camera tripod legs should be able to go wide. A tilting or removable center column will help. What's the best brand of Tripod? If Gitzo were a boat it would be a luxury yacht, built with the absolute top materials and providing you with the ultimate experience in piloting one. ReallyRiteStuff is the high-end private label. I've never splurged on RRS personally, but in listening to the talk from other pro photographers, their reputation for design and quality is unmatched. The list of quality brand tripod. 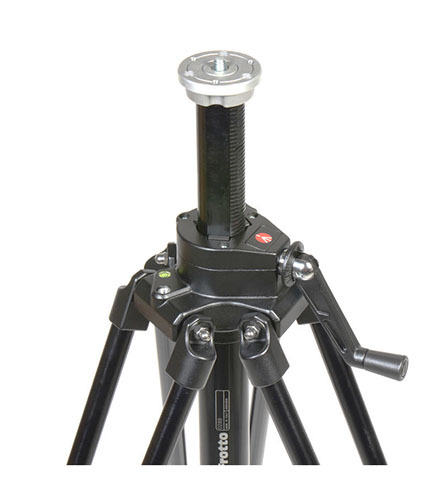 Other brands that make quality tripods include Benbo, Benro, Induro, Vanguard, and Manfrotto (part of Gitzo). There really is not just one best brand of camera tripod. Massive competition for your photography dollar has caused camera tripod makers and distributors to concentrate on giving you several good value options. It's a great time to be searching for the best deal on a tripod, for sure. Just because you attach your camera to a tripod doesn't automatically mean you're going to get motion-free- sharp photos. You can use a crappy tripod and still get sharp photos provided you use just the proper technique. Likewise, You can use bad technique on the best quality camera tripod and get really disappointing photos. Whatever tripod you use, this video will help you understand a few simple steps you can take to make sure you get sharp photos. It's a popular search on Google. Everybody wants to get a good deal on their tripod. You and I are no different. Sorry, I can't just recommend one best place to buy your tripod. There are plenty of good places to get a good price, speedy delivery service, and free shipping. 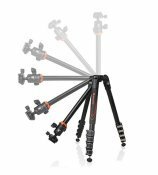 I included links to Amazon in the sections on the best camera tripods at the various price levels. That doesn't mean you need to buy your tripod from Amazon. Amazon is just the king when it come to camera tripod reviews (and other products too). When you first think of a tripod an image comes into your mind of a simple accessory with three legs that hold up your camera. Simple, right? Well, not exactly. You have the tripod legs, the head, the leg releases, the feet, the center columns, as well as a few more and the material each of these parts is made up of. Diagram - Various parts of a camera tripod. 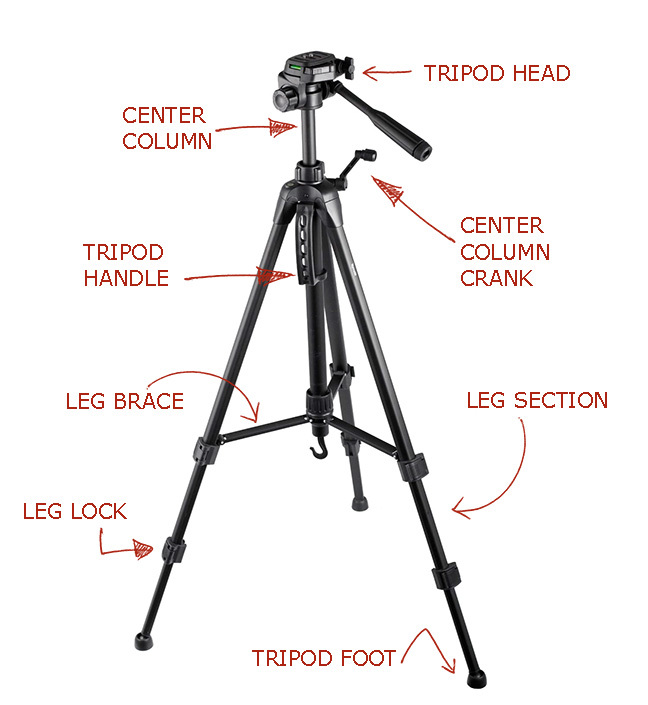 Along with the head you choose for your tripod, the tripod legs are the most important component to pay attention to. After all, just like the home you live in, it's the foundation that matters most. It supports your entire house and the experience you have living in it. Your tripod is the same way. The supporting legs, that the entire tripod system depends on, are just as important. Carbon fiber leg prices used to be prohibitive. Now they've come down in cost to the point where it's not a big splurge to upgrade to them. 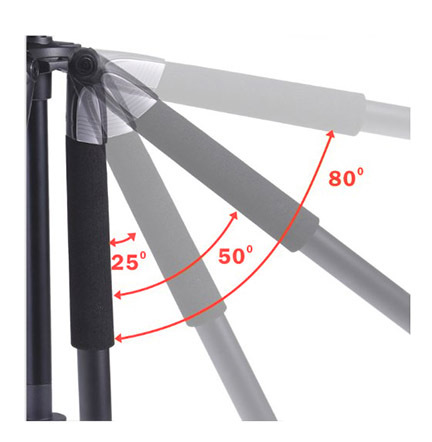 Better made tripods have circular shaped legs as opposed to rectangular shaped legs. 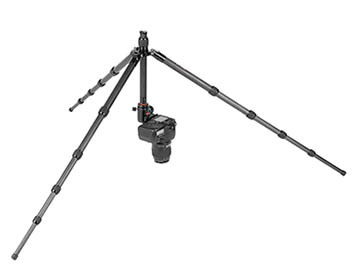 Tripods that have all their legs fully extend will have less stability. If you have your tripod legs only partially extended with sections overlapping you get a more stable situation. Perhaps just as important as the tripod legs is your choice for what tripod head you're going to use. The following short video compares three different tripod head types. The first has separate controls for tilt, swivel and rotating adjustments. That type of head is great for studio set-ups and still life photography. You'll see, mine is as old as dirt, but the 3 levers work the same way as the more modern pan/tilt/swivel tripod heads. 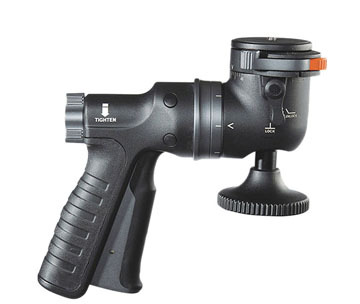 The second tripod head is a vertical pistol grip head. It's great for shooting portraits because of how quickly you can adjust your camera position and not miss a great expression on your subject. 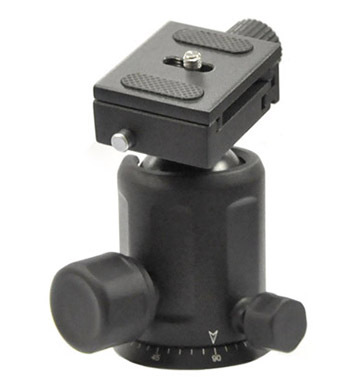 The third type of tripod head is the traditional ball head. These are now by far the most popular because of their versatility, small size, and affordability. Here's the video if you want to see it in a new window. Whatever tripod head you pick, make sure it's strong enough to handle your camera and desired lens. 1. 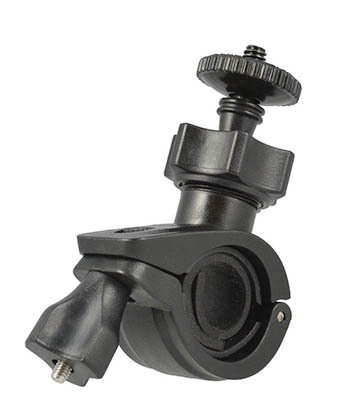 Flip-locks or lever-latches are now the most popular way to lock tripod legs. 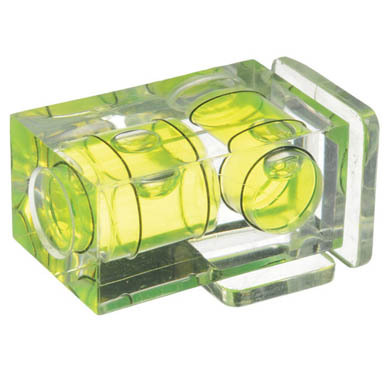 They're quicker to use and a quick glance at them makes it easy to see if they're in the locked or opened position. 2. Screw. I'm likely in the minority for still using a tripod with the screw type of leglock. 3. Quick Release. A few high-end models of camera tripods have a single button that releases all three legs at once. Here's a short video on the two main types of tripod leg locks. It will open in a new window. Leg braces theoretically will add stability by connecting the three legs with the center column. The only tripods I've ever used that had leg braces on them were very cheap and at least one of the braces broke very easily on every one I owned. That could be due to the fact they were beginners tripods and made of cheap material. A good, solidly built tripod shouldn't need to use braces to improve a tripod's performance. Leg braces add to the overall weight of your tripod and also add another moving part with the potential to break. Tripods have been literally been around for centuries. 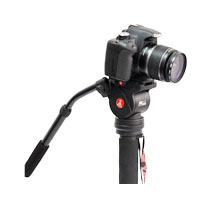 With that history of tripods has evolved a multitude of valuable features that make them serve to exactly as you want. Once you get past the basic parts of your camera tripod, you have a few optional features to consider. Quick releases on tripods have taken over. It seems like like only the cheapest or smallest tripods now come with a traditional mounting screw to attach your camera to your tripod. 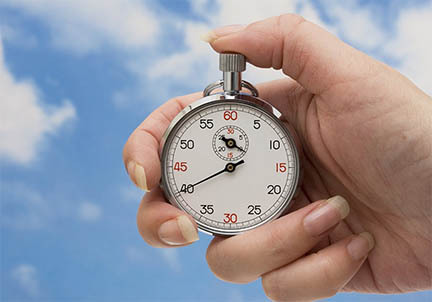 Everyone is in a hurry and looking for time savers and the quick release has practically become a standard feature on tripods. 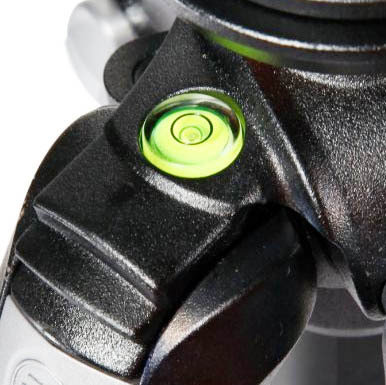 Pay attention to see if the quick release system on your tripod is a universal mount like arca swiss or if it has a unique design that will only work as part of its own system. Having a bubble level on your tripod adds no significant weight or cost. It's quite handy for you to get your horizon straight for landscapes and also for shooting video. Sometimes they come at the top of one of your tripod legs. Other times you may find bubble levels on the tripod head. Pictured here is a cube level that will do leveling on 2 axes. There are also levels bubbles levels that cover all three axes. If your tripod doesn't come with a bubble level, you can always add one as an accessory later. They're real affordable and come with a self-sticky adhesive pad. You can use the hook on the bottom of the center column hook to hang things on. You could use it to keep your equipment up high and dry off the ground. It will also increase the stability of your tripod provided it's not swinging or being pushed by a stiff breeze. Some hooks are permanently mounted and others are screw-in hooks. Specialized center columns are great when you want to do more than the traditional type of eye-level photography. If you're in the mood for getting a little more creative with your photography, then pay attention to some of the options for tripod center columns. 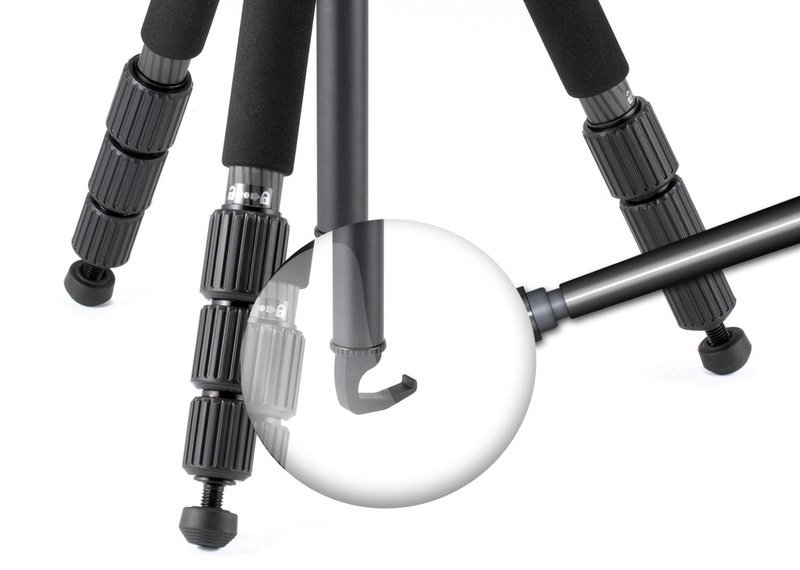 Having a removable center column and spreadable tripod legs gives you the chance to get a real low perspective. That's great for photography children and getting a unique perspective to shoot a lot of different subjects. 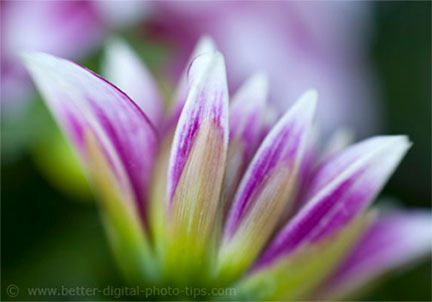 A reversible center column will give you the ability to mount your camera underneath your tripod for macro photography. It lets you shoot from above, directly down at your subject, with a great vantage point to see your LCD screen or viewfinder. Tripods with tilting center columns are versatile. You can use them in the regular vertical upright position for traditional use or tilt them at any angle you want. That includes a horizontal position to allow you to spread the tripod legs out wide. 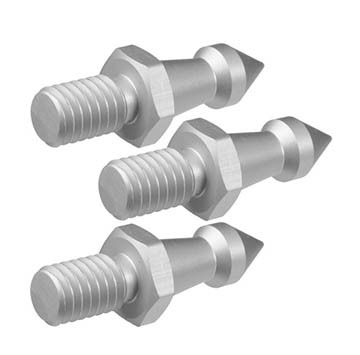 With a large wing nut type of locking system, you get super fast ability to change and lock your center column securely. 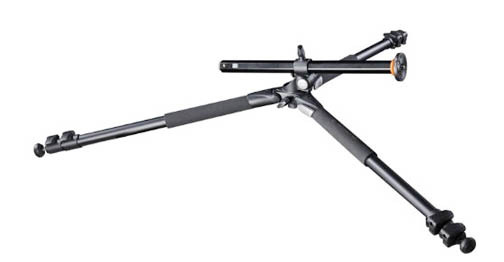 The model shown here is an add-on part to the Gitzo Systematic tripods which don't even come with a center column. Many purist photographer choose Systematic tripods precisely for that reason. They are looking to use the ultimate instrument for stability. 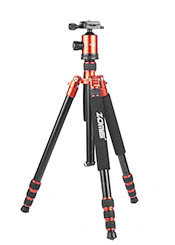 Tripods that have folding legs give you more compact storage and carrying convenience. There doesn't seem to be a compromise in stability when this feature is designed into tripods. It does add a bit to the cost, but is well worth it if you would like to be able to save space. 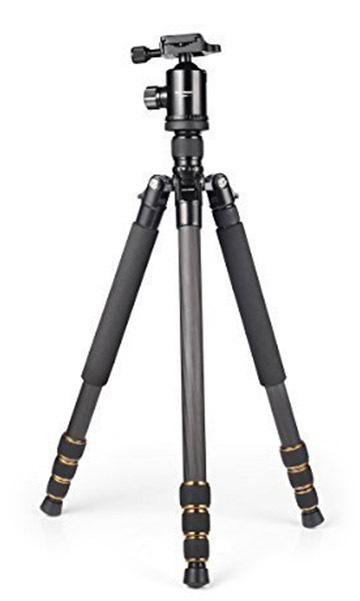 I'd never buy a tripod again without the ability to set each leg at a different angle. Unfortunately, tripods with leg braces can't have this feature. You can still adjust the legs to different heights to give you flexibility on uneven terrain, but not at the same level as independently setting leg angles. There's nothing worse than being outside on a cold day and getting cold hands during a photo shoot. Tripod leg insulators are a lightweight solution. They're often included on at least one of the legs with many models and some tripods have leg insulators on all three legs. There are a few camera tripod accessories to consider. You won't need any of these in most situations, but they're good to know about in case you encounter a special situation where one of them will come in quite handy. Very light to attach. 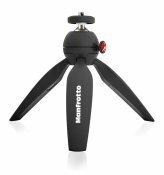 Attach additional equipment to the leg of your tripod Great for adding a remote flash or a reflector card for macro photography. 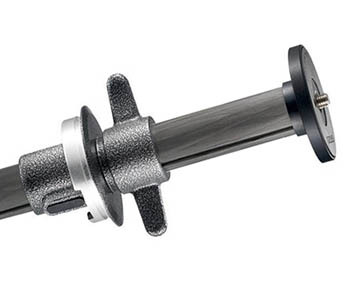 You can also use the handlebar clamp on the center column too. Many tripods already come with spikes that screw down from the rubber pads that are already on the bottom of your tripod legs. If you;re shooting in a sandy or muddy environment, these longer spikes will keep your tripod from slipping. A tripod case will help you carry your tripod a lot easier than with just your hand and gives you added protection against damage. It will keep your tripod clean and dry. 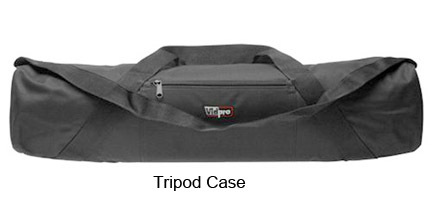 The more versatile tripod bags have both handles and a shoulder strap. The longer the zipper the easier it is to get your tripod in and out of your bag. The best camera tripod cases have at least some padding to provide protection for your tripod. An oversized tripod case is good if you'd like to be able to carry extra equipment in addition to your tripod. I use mine for carrying portable light stands. You want the best "bang for your buck." So do I, but we all know that the tripod with the lowest price tag isn't always the least expensive. If you buy a cheap tripod and it breaks after you use it 3 times, you've got to shell out more money for another one. Here are the 3 price categories for tripods. Each link will take you to that category for the winning tripods. If you've set a limit on what you're going to invest you'll be able to compare the best camera tripods at different price levels. Depending on your level of versatility and usage, you can get a good quality tripod for under $50. 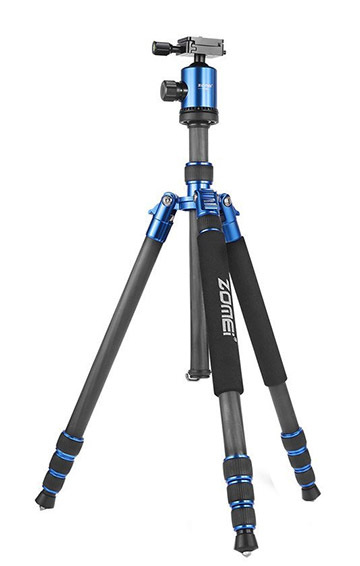 If you have a fair amount of extra money budgeted for your ideal camera tripod, the tripods under $200 can handle your every possible need and can last you for a lifetime of photography. Here are comparison tables of the best tripods, separated by the 3 price levels. 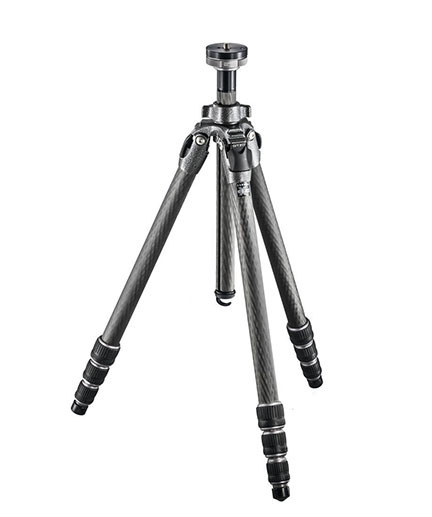 Most regular sized tripods under $50 are composed of aluminum legs and plastic parts. That doesn't mean you should automatically eliminate them from your list of best camera tripods to consider. You just need to be a bit cautious when buying a budget tripod. You should just have a realistic expectation on build quality and design. If you're in market for a tripod under $50, you can still get some equipment that's highly rated by consumers. The Sony VCT-R640 is a good tripod for you if you need a general purpose tripod and might shoot some occasional video as well. It expands from 12" to 56." It's constructed mostly of plastic so you should treat it gently if you want it to last a long time. I would recommend it only for someone who will use it for light-duty purposes. Load capacity is 11 lbs. 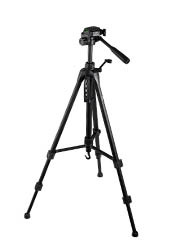 The KetDirect K111 Aluminum tripod has 4 sections and expands to 59 inches. KetDirect will give you a complete refund or replace your tripod for any reason, at no cost to you, with no questions asked. "We just want your 100% satisfaction." 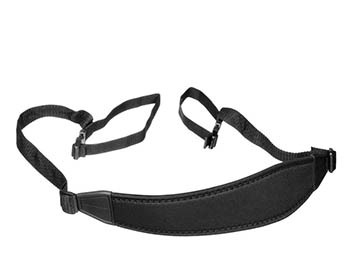 The KetDirect Free zippered shoulder bag comes with the basic tripod. 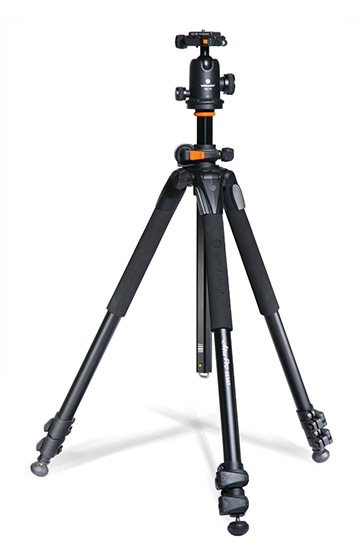 KetDirect offers 3 upgrade options to the basic tripod. The third tripod under $50 is the most affordable of the 3. 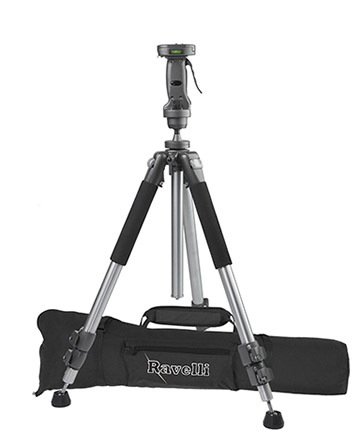 For half the price, the Ravelli APLT4 61-inch light weight aluminum tripod is a definite bargain. It collapses to 24,” which isn't bad, but definitely would disqualify it as a good candidate to be used as a travel tripod. Tripods priced up to $100 gives you a big upgrade in terms of materials used to manufacture them over the $50 price limit. The majority of photographers can find a good match in this price category. 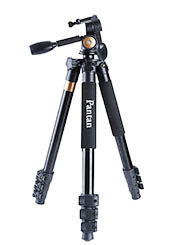 The Pantan Q6 is a relatively much heavier duty tripod than the under $50 tripods. It's taller, heavier, and has a higher capacity. Longer pan and tilt handles make it a great choice for shooting smooth video. Long handles also make the smallest of minor adjustments when shooting still photos a real joy. The Q6 folds down to a respectable 25.6 inches because it has 4-section legs. 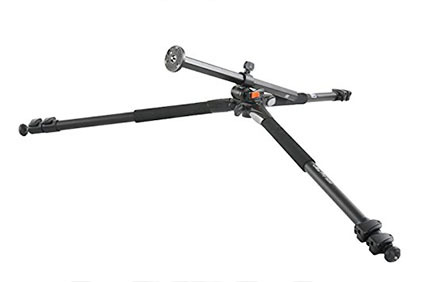 The tripod legs can be inverted and folded back 180 degree, giving it a compact size of 18", save your space and make it small enough to carry everywhere. The tripod could be converted into a full size monopod by screwing together the removable center column and tripod leg. The pistol grip ball head is one of the unique features of the Ravelli APGL4. Pistol grips are the very fastest adjusting tripod head there is. I do not recommend pistol grips heads for shooting video unless your camera position will remain stationary throughout your video shoot. The best camera tripods under 200 bring along the finest materials, design, performance, and durability. I've never purchased a tripod for over $200 myself and 95% of all photographers never need to. The Mactem Q666C employs a new high-density version of carbon fiber construction and thus the corresponding price level. You can use this tripod in an inverted position and get to any crazy shooting angle you wish. It has a detachable monopod so you get a tripod and monopod with one purchase. The ball head has a separate locking knob for panning which makes it great for panning video clips and blurred background sports photography. The quick release is an Arca Swiss so that gives you compatibility with another tripod or another camera if you're an advanced shooter. 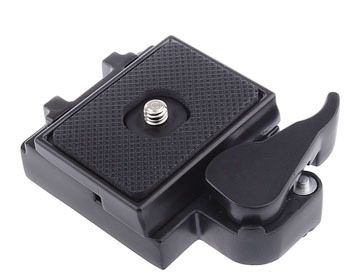 The Universal ball head handle has a secured clip to secure your camera from falling. Each leg can be adjusted to a different angle for shooting in unique environments. I buy the majority of my camera equipment from Amazon. I enroll in Amazon Prime yearly, so it makes even more sense for my situation. For specialty items, I buy from Adorama or B+H Photo/Video. When I want to upgrade and sell my used equipment I sell it on ebay. If you don't have a strict preference or loyalty to a certain retailer, please consider using one of the links below. It costs you nothing extra. You still get the same price and delivery benefits and I receive a little financial "thank you" that helps me keep this site going. 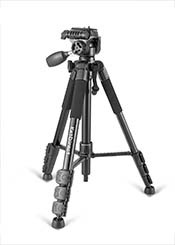 Please share this camera tripod buying guide if you found it helpful. Question or Comment on best camera tripods? If you have a worthwhile comment or you'd like a question answered you can post that here. If you're just trying to get a link to something that you're promoting, don't waste your time, You'll Get Banned.